French Vintage Fifties diamond cluster ring by Mauboussin Paris: Description by Adin Antique Jewelry. 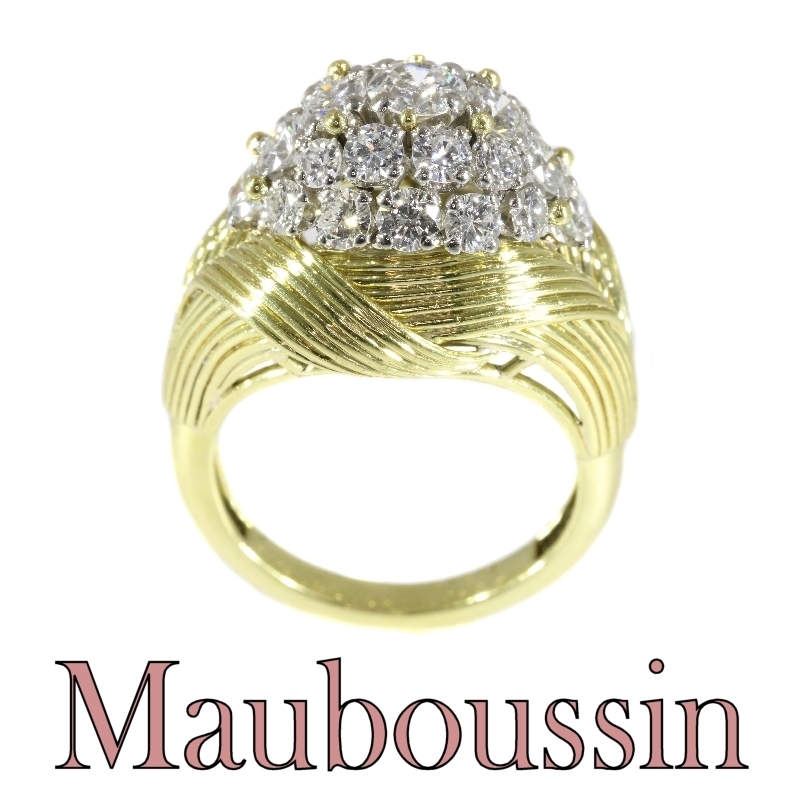 Extra information: Mauboussin - Mauboussin is a French jewellery firm started in 1827 by the artisan jeweler M.Rocher and which bloomed with the collaboration of Jean-Baptiste Noury. Mouboussin opened their first US store in New York in 2009 and now have many shops all over the globe. Diamond(s): One brilliant cut diamond with an estimated weight of ± 0.30ct. ; six brilliant cut diamonds with an estimated weight of ± 0.90ct. ; 18 brilliant cut diamonds with an estimated weight of ± 1.50ct. Total diamond weight: approx. 2.70 crt. with an average colour and clarity: F/H, vs/si. Engraving: "Mauboussin - Paris" and the number "14313"